Now a days it's quite easy to try out new versions of Visual Studio or previews without interfere with the version you already have installed. All versions is truly side-by-side installed (even it's own Registry). 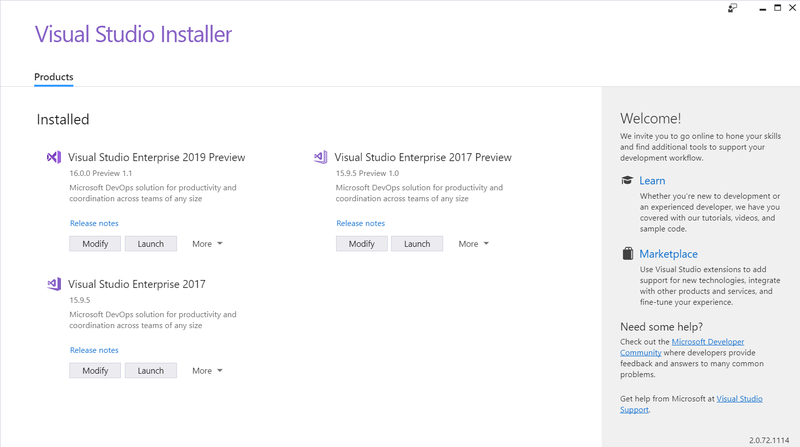 If you are already running Visual Studio 2017 you have seen the Visual Studio Installer where you can modify the workload on you installation or update it. Your preview version(s) will show up here as well and it's here you uninstall them if you don't want them any more (under the More drop down).